Choosing a coating company you can trust is your first decision when making improvements to your home or business in Covington, Louisiana, and the nearby areas. Mid-South Coatings has earned a reputation across the region for superior work and exceptional customer service thanks to the quality of the people on our team. Our staff is experienced, talented and focused on providing you with the very best experience from start to finish. We want to earn your trust as your exterior painting contractor in New Orleans LA and the surrounding communities. Most of all, it will quickly become apparent to you that we all enjoy our work. We get great satisfaction in helping our neighbors to make their homes more comfortable, more attractive and to increase their value. Led by former Major League Baseball professional Kevin Mmahat, everybody at Mid-South Coatings is fully committed to taking a team approach to every project. Let’s meet some of our key players! Here’s why you should choose Mid-South Coatings: *You'll never paint your home or building again! We offer Lifetime Exterior Solution as alternative to paint or siding. We have heat reflective coating for wood, metal, and vinyl. Walls, trim, as well as roofing coated. *You’ll be treated with respect, honesty and open communications from your first phone call through the completion of your project – and beyond! Our mission is to surprise you with the performance of our product and delight you with the caring and friendly attitude of our people. Our people are professional in their approach to their jobs, paying attention to the details in order to ensure you get the very best value for your home improvement investment. We spend time and money to keep everyone on our staff fully trained and up to date on the latest coating technologies and application methods. *Our product is superior to any other exterior coating on the market, delivering better protection, lowering energy costs and providing more value. Period. Because our TEX-COTE® coating system is so good we have nothing to hide! No hidden fees or costs, no misdirection or false claims. Just superior performance and lasting value. 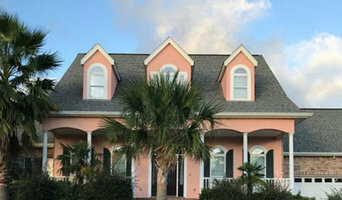 *No other exterior painting company from Baton Rouge, LA to Biloxi, MS offers you the protection of a lifetime product warranty with an additional three year labor warranty. That’s peace of mind!! We’re a locally owned and operated company that values honesty and integrity, and stands behind our work. We specialize in both interior and exterior residential painting projects. We pride ourselves on the quality of our work as well as our commitment to outstanding results. We look forward to building long-term relationships with our clients and guarantee your satisfaction! Jason Bertoniere is a painting and drywall contractor who specializes in interior and exterior painting, decorative finishes, wood paint restoration, and level-5 drywall finish. ProFinish Painting, LLC is committed to our clients wants , needs & wishes ! Attention to details is our biggest strength ! We are not the typical Painting Company , we are the Company you want when you are looking for Professional Results . Give us a call , you'll be impressed ! Our bussiness relies in our customers satisfaction . We offer home improvement and painting services, call anytime for free estimate..
Delta Blues Painting & Design was formed in the aftermath of Hurricane Katrina (2005) by Trey Merrill and other contractors, tradesmen and artisans from the motion picture, theatrical, and staging industry. What do we know about floods? Initially were formed as a painting company but due to the devastation of the floods, our crew grew to include drywall hangers, carpenters, tile and plaster workers and an assortment of other skilled craftsmen.. Delta Blues continues to use some of these same craftsmen. It makes for some interesting stories. Whether you live in a fish camp or the garden district, are a Hollywood director or just another construction worker GIVE US A CALL TODAY. Mention Houzz For 25% Off! Cicero Construction is a high quality painting and carpentry contractor based out of Kenner, LA. Our company offers Interior/Exterior Painting and Staining, Drywall, Trim Carpentry, Framing, Siding, Stucco, Wood/Tile Flooring, and many other services. Our company's main focus is delivering some of the highest quality painting and carpentry job in the New Orleans Metro area. We provide professional interior and exterior painting services in New Orleans and surrounding Areas. Taking a fundamental approach our goal is to meet all costumer needs and build a strong professional relationship. 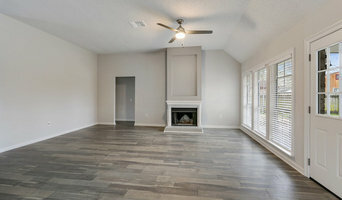 At Nola Best Painting we use best materials, advanced painting techniques and high tech equipment. Training our painters conform highest market standards we ensure that they are well skilled and professional. We know your time is valuable, we guarantee always to be punctual and to finish our job on time. Southern Painting, established in 1989, has painted over 100,000 homes throughout the United States. We specialize in single-family homes including everything from popcorn ceiling removal to fence and deck staining. We are a professional painting company with mission to transform your world with color! Five Star Painting. Without the five star price. Freret Paint opened its doors in 1999, and we’ve been supplying New Orleans with top quality paints and painting products for the last 12 years. We are known as a one-stop shop. We know our customers by name, and our customers love us for that! Most of our customers are independent contractors, so when they need to find the best paints and supplies, they know where to go. We also help homeowners find that perfect paint that will help turn their house into a home. Whoever the customer is, we know we only sell top quality items and it keeps them coming back for more every time! And that is why we opened the business in the first place, to satisfy customers based on their individual needs. What jobs do New Orleans, LA painters and decorators do? As well as plain painting jobs, many New Orleans, LA painters and decorators will take on other jobs as well. If you’re dealing with an old or run-down property and you need the walls completely stripped down before painting, this could be tackled by a New Orleans, LA painter decorator. Some professionals will also carry out repairs on paint work and walls, from small cracks and holes to sometimes larger repairs like fixing window panes, doorframes and sills. Some painters and decorators may specialise in certain kinds of painting, such as window exteriors, doors, gates and fences. And finally, you may find some contractors are very good at the finishing touches, not only neatly finishing paint work but also installing beautiful wallpaper, wall stickers, painting intricate or fiddly features or even painting patterns and murals on your walls. Why should I hire a painter and decorator in New Orleans, LA rather than doing it myself? Even if you are planning on going very simple with your walls, perhaps a crisp white or grey, then using New Orleans, LA painters and decorators to finish the job to a high standard is still advisable. Not only will it mean your painted walls will be clean and precise, but it will also save you the time and effort of painting and decorating yourself. House painters in New Orleans, LA will be quick and efficient at painting your rooms, and if you have a tricky outside wall or space that needs painting, specialist exterior painters are the professionals for the job. Search for New Orleans, LA painters and decorators on Houzz to see past painting and decorating projects and reviews from clients to see if there’s a professional that can help you with your project. Even if a local painter decorator doesn’t specialise in your kind of project, ask them first, and they may know other professionals that can help, such as wallpaper specialists, paint companies or wall sticker or mural installers. Find a painter decorator on Houzz. Narrow your search in the Professionals section of the website to New Orleans, LA painter or decorator. 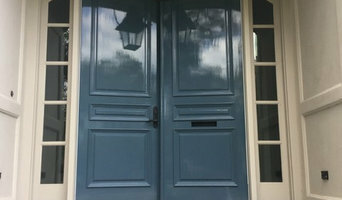 You can also look through New Orleans, LA photos to find examples of painting and decorating jobs that you like, then contact the professional who worked on them.